The Expansion Draft for the Vegas Golden Knights is rapidly approaching. Luckily, the New Jersey Devils do not have a surplus of highly-talented players, meaning they will not lose any key pieces when the Knights make their selection. Luckily (again! ), there are a lot of teams who might lose a key player. Those teams will look to trade those players for something in return, rather than lose them for nothing. It’s unclear how the Golden Knights will handle the draft. The Hockey Writers’ Andrew Forbes recently went in-depth about their potential strategy. However, it is still hard to predict what Vegas GM George McPhee will do, as he has so many options at his disposal. What is clear, is that deep teams will suffer the most. 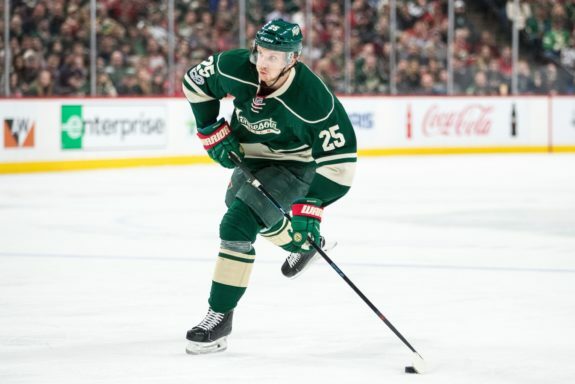 Teams like the Nashville Predators, Minnesota Wild, Tampa Bay Lightning and Anaheim Ducks will look to move players that they may not want to. This is where the Devils come in. Ray Shero has amassed 11 draft picks in this year’s Entry Draft, and there are a few good players in the Devils’ prospect pipeline. Shero should use those assets to acquire established, veteran NHLers. Here is a list of possible targets, but keep in mind the list is not set in stone on who is available, but these are the players that Shero should inquire about. As mentioned, the Wild have a very deep team. Their offense and defense have a multitude of good players and they will be forced to lose one of them. They will most likely go with the 7-3-1 protection format, as they have a lot of talented, young forwards. That leaves three spots for defensemen. Ryan Suter will be protected, as one of the top defensemen in the League. Jared Spurgeon and Matt Dumba are getting better every year and are coming off 30+ point seasons, so it is unlikely they will be exposed. That leaves Jonas Brodin. Brodin is not as offensively capable as Dumba or Spurgeon but is no slouch either. The Swedish defender recorded a career-high in points in 2016-17, with 25. At only 23 years old, Brodin brings a solid defensive game, with the ability to put up points. What is important to remember is that he is still improving and a few years away from his peak. Shero should look into trying to acquire the Wild defenseman before Las Vegas picks him up. The Tampa Bay Lightning, like every other team on this list, are in a tough spot. They have a ton of skilled forwards and most will need new contracts soon. Fortunately, a few of their skilled players will be exempt from the draft, specifically, Brayden Point. The Lightning have a lot of options on who they could protect, but it will likely come down to Alex Killorn or Vladislav Namestikov being exposed. However, Tyler Johnson, along with Ondrej Palat, Andrej Sustr and Jonathan Drouin are restricted free agents this summer. Next summer, Cedric Paquette and Vladislav Namestikov will become restricted free agents, while J.T. Brown will be an unrestricted free agent. Then, the summer after that both Brayden Point and Nikita Kucherov will become restricted free agents. You get the picture. Steve Yzerman has a lot of players due for raises in the next few seasons and will likely look to unload one or two of them. 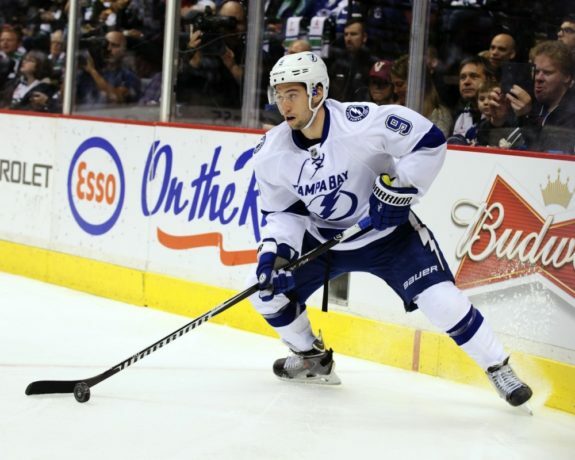 The Lightning could look to move Johnson, and then protect both Killorn and Namestikov. This allows them to keep two of their skilled, depth players while creating financial wiggle room for their future spending. Johnson has struggled to replicate his 72-point season from 2014-15 but has put up decent numbers the past two years and would be an upgrade down the middle for the Devils. 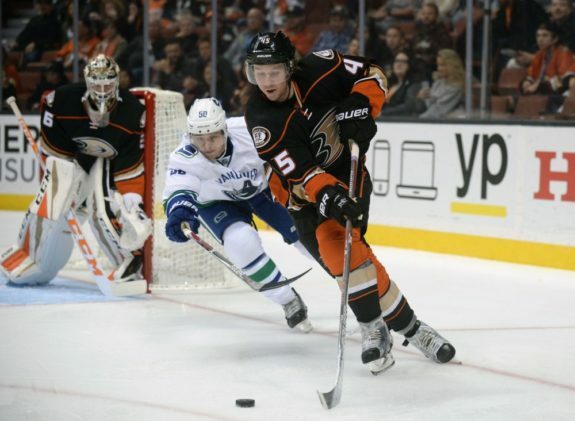 The Anaheim Ducks have an embarrassment of riches on their blue line. Hampus Lindholm, Cam Fowler, Shea Theodore, Josh Manson and Sami Vatanen are all great defenseman. However, the Ducks can only protect four of those players and Vatanen seems to be the odd man out. Don’t feel too bad for him though, teams are lining up for his services. The Devils are one of the teams mentioned by Pierre Lebrun, as they should be. The Devils have been starved of great defenseman for almost a decade. Maybe it is karma finally catching up with Jersey’s team. After they had Scott Stevens, Scott Niedermayer, Brian Rafalski and Ken Daneyko for so long, maybe it is only fair for them to go through this rough patch. Whatever the case may be, the Devils have served their penance and need an injection of skill on the blue line. Vatanen would be the Devils’ best defenseman for years to come. After his contract expires in two years Shero will have built a good enough team to hopefully sign the Finnish defender to a long-term contract. It would cost a lot to accomplish this deal, as many teams will be bidding, but it may be worth the cost in the long-term.